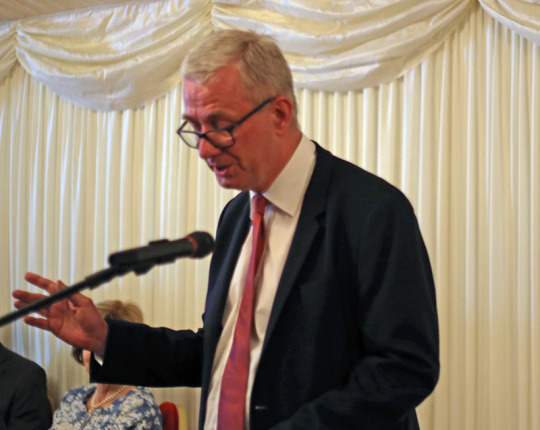 This is the speech I gave at the 25th anniversary of The Little Foundation at the House of Lords on September 21st, 2016. 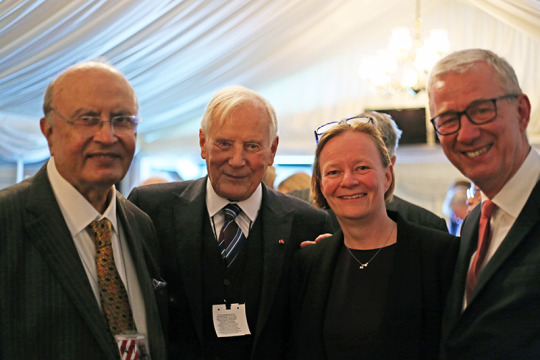 With fellow trustees Lord Hameed, Professor Michael Crawford and Libby Aird-Brown. Those of you with an eye for detail may have spotted that 1990 – the year this charity was established – is actually 26, not 25, years ago. However, the trustees in their wisdom have decided that just because we did not mark our quarter century on the day, that is no reason to pass up the opportunity to mark it at all. And there is a reason we have picked tonight as our official 25th birthday. It is that we have reached a point where we can take stock of the work that has been done, and launch a new, funded programme of research, together with a strategy for developing the charity and disseminating the knowledge we acquire. Before we hear a little later from Professor Crawford about the science, I have been asked to say a few words about how we got here and what we are planning to do. The Little Foundation was set up in 1990 by Ian Dawson-Shepherd. Dawson-Shepherd by that time had already been in the vanguard of campaigning for people with cerebral palsy for forty years. The father of a daughter, Rosemary, with severe cerebral palsy, he had joined with three others to form the National Spastics Society in 1952 and became its chairman. Later renamed Scope, our sister organisation has done a huge amount to change attitudes, to support sufferers and their carers, and to empower people with cerebral palsy to overcome the challenges with which they were born. It has played an important role in the journey of many of the athletes who have won glory in the Paralympics in Rio over the last two weeks and who so fittingly and movingly are described as superhumans, given their incredible achievements in the face of such adversity. There are others in this room better versed in our early history than I, and it is good to see one of our former Vice-Presidents, the chess grandmaster Raymond Keene, here tonight, as well as one of our current Vice-Presidents, Baroness Nicholson. We’ve heard from two other Vice-Presidents who regrettably cannot be with us – Tim Yeo, who is on a business trip to the United States, and Dame Judi Dench, who is filming – but both have sent their best wishes. I would like at this point to pay tribute to someone else who can’t be here this evening. Christopher Robinson was at Ian Dawson-Shepherd’s side from day one. He took over as Chairman of Trustees when Ian passed away in 1996, and provided the continuity that has got us, as Lord Hameed said earlier, to the point where we can see the promised land. Christopher retired from the board in 2013 and graciously accepted the ’onorific title of President. I spoke to him at the weekend. He described himself as hors de combat, but delighted that we are launching a new programme and he asked me to pass on his warm wishes to everyone gathered here this evening. I would also like to place on record our gratitude and thanks to the late Lord Walton, the former President of the General Medical Council and of the World Federation of Neurology, our Patron until he died in April of this year. Ian Dawson-Shepherd was always keen on medical research. As long ago as 1960 he persuaded the Spastics Society to fund a Paediatric Research Unit at Guy’s Hospital to look into the causes of cerebral palsy. The impetus for setting up The Little Foundation thirty years later again came from Rosemary, whose cerebral palsy had inspired his campaign back in 1952, and who herself died in 1986. Rosemary had said it was wonderful he was helping sufferers, but couldn’t he do something to stop babies being born with the condition? So it was that our organisation was founded in 1990 and named after Wiliam John Little, the Victorian neurosurgeon who in the mid-eighteen fifties was the first to identify the condition we now know as cerebral palsy, which for many years was known as Little’s Disease. The Foundation’s research focus quickly turned to nutrition and in the mid-1990s, Ian Dawson-Shepherd was raising funds for a project looking into the problems of nutrition and its pre-natal effect on babies. The Little Foundation was instrumental in formulating and funding the European Cerebral Palsy Study, involving almost 600 children born with cerebral palsy between 1996 and 1999 in England, Scotland, Portugal, Ireland, Sweden, Germany and Finland. This study concluded that ‘obstetric mishap’, that is, accidents or errors during childbirth – until then commonly regarded as the major cause of cerebral palsy – could be blamed in only a small number of cases. If other, pre-birth causes could be established, then this suggested that in many cases, cerebral palsy might be preventable. Since this work was published, ten years ago, the Foundation has promoted a wider discussion about the causes, including sponsoring over 20 international workshops and a seminar of experts to review the evidence. In recent years we have collaborated with Imperial College and other institutions to frame and seek funding for further research, and tonight we are ready to launch a new programme for continued research, set out in this report. 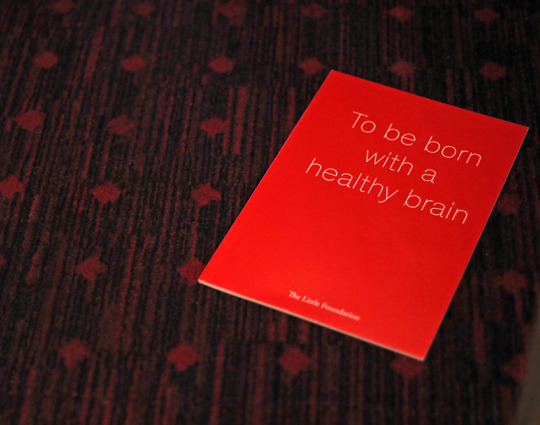 ‘To be born with a healthy brain’, Report and Research Programme, The Little Foundation, 2016. I am delighted to welcome AnnieBelle Sassine, a postgraduate researcher at Imperial College, and to announce that the Foundation has committed to fund AnnieBelle’s research for the coming year into the correlation between maternal fatty acids and pregnancy outcomes. We will be raising funds to continue that research thereafter and to undertake further research to specifically evaluate how the mother’s nutritional state before conception affects the likelihood of brain abnormalities at birth. We have also started laying the foundations for more significant fundraising and disseminating the outcomes of the research, building on the excellent efforts of the individuals and companies who have organised activities like quizzes and marathons to raise funds for the charity in recent years, some of whom are here this evening. Among the donations we have received we are extremely grateful to the late Mr George Lee, who passed away earlier this year and left the Foundation a substantial legacy which is a significant factor in our ability to move our work to the next phase and which demonstrates the power and significance of what individual gifts can do. The important thing about this charity is the cause and the work we do, but there are a couple of other people I want to thank. First, Julia Adey, the Secretary to the Trustees, who is currently the second-longest serving official of the Foundation, the fount of such institutional memory as we have, and a magnificent herder of the always busy and sometimes elusive cats who are our trustees. I also want to express a special thanks to Andrea Mátysz-czyk who has so splendidly organised this evening. There is one person who has been with this organisation since the beginning – so, even longer than Julia – and who is responsible for our clear focus on nutrition. Some of you may have heard David Attenborough’s programmes The Waterside Ape on Radio 4 last week. I am not going to hazard a David Attenborough impression, but I will quote him. We are indeed extraordinarily fortunate that in Professor Michael Crawford, Director of the Institute of Brain Chemistry and Nutrition at Imperial College London, we have one of the world’s biggest brains and leading authorities on this topic as our scientific mentor and guide. It is the work done by Michael and by his Imperial colleagues Professor Mark Johnson, Dr. Enitan Ogundipe, Dr. Yiqun Wang and AnnieBelle Sassine, all of whom are here this evening, that offers the prospect of eradicating, or at least seriously reducing, the incidence of cerebral palsy. We thank them for what they have already done and we plan, with your assistance, to do all we can to support this work, because we believe it can help achieve the objectives for which we were established. I will now leave you to enjoy your dessert and your conversations for a while and then it will be time for you to see that a big brain does not necessarily mean a big head, because Michael, who in a short while will tell you something about the science, will doubtless attempt some self-deprecation to mitigate the more-than-merited build-up I have given him.